But for the prompt response of the firemen of the Federal Airports Authority of Nigeria (FAAN), there would have been a major fire disaster. 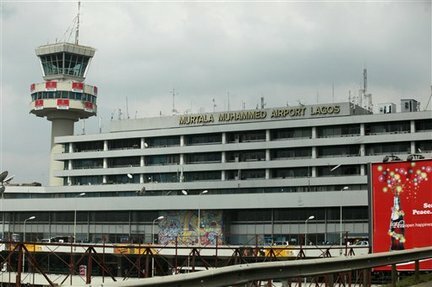 According to the Punch Newspapers, one of the flight boarding gates, Boarding Gate E52, was severely destroyed by fire. A crucial electrical control centre located at the boarding gate was totally consumed by fire. Sources say the fire started yesterday evening around 4:45pm and lasted for about 30mins when the fire service were able to put it under control. The unfortunate incident led to the delay of some scheduled flights. ASKY Airlines which was supposed to fly to Lome from Lagos was said to be one of the delayed flights. Experts have complained about the facilities in the 33-year-old terminal building and they have called for a rapid infrastructural development which is needed to transform the Airport into an African Hub. The source of the fire is however yet to be ascertained.